Sage 50 Accounts 2014 introduced several new features including the ability to manage multiple foreign currencies for business that operate a VAT Cash Accounting scheme, previously the foreign trader module only covered businesses that operated Standard VAT accounting. NEW! Previously the Foreign Trader module was only available in Accounts Professional. Since 2014 you have the choice of either buying Sage 50 Accounts Professional with the module included as standard or if you purchase Sage 50 Accounts or Sage 50 Accounts Plus you can add on the Foreign Trader module, however, you will need to pay an annual licence fee, so it makes more economic sense to buy Accounts Professional and get the module included in the software price along with all the other features in the Professional variant! For more information please contact us. The brief video below gives an introduction as to how you can record transactions, create invoices, reconcile accounts in foreign currencies and manage foreign trading on the VAT Cash Accounting scheme. To see another Sage 50 Accounts video about Managing Foreign Currencies click here. 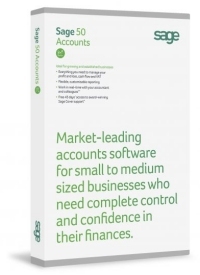 Order NEW Sage 50 Accounts v22 (2012) online here as 2016 is now the latest version or call your Sage Accountant Partner, Site4, on 01257 460018 to order today. At Site4 we have been selling, installing and maintaining Sage software for our clients across the UK's north west and across the whole of the UK for many years. We are fully accredited authorised Sage 50 resellers and are an award winning Sage Accountants Club Accredited Partner.